FG4 PET bottle blowing machine fills the gaps in the domestic high-speed linear blowing machine. Currently, domestic single-mold speed of linear blowing machine still stay 1200-1500BPH, while international max single mold speed has reached 2000BPH. High-speed linear blowing machines rely on imports. 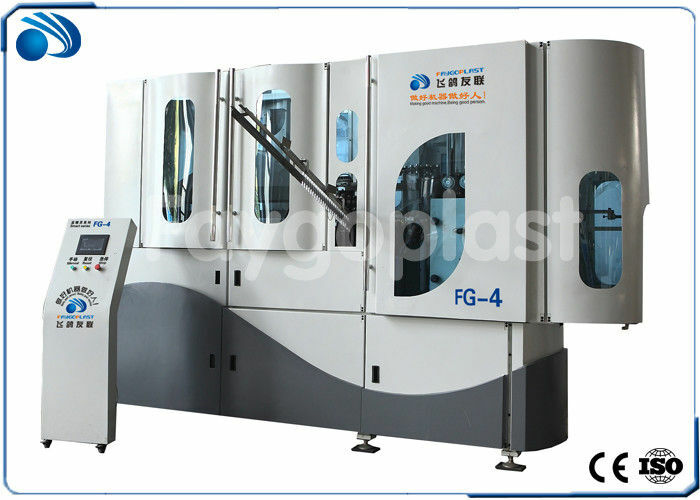 In view of this situation, Faygo Union Machinery developed China first high speed linear blowing machine: FG4. 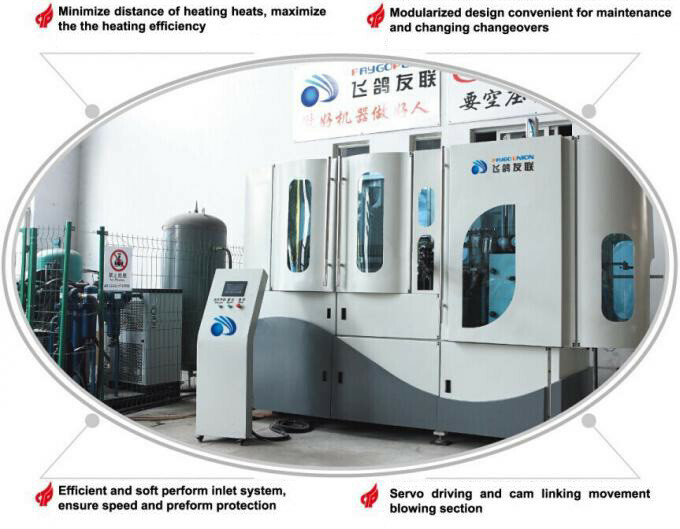 The single mold speed can reach 2000 BPH. 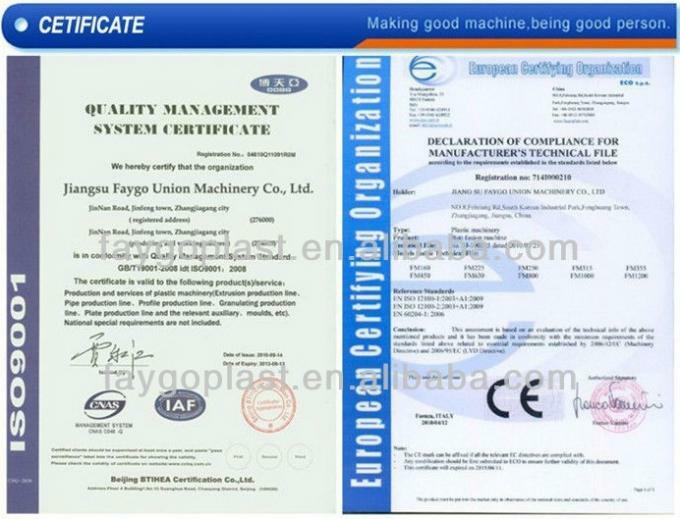 FG4 has 4 cavities, production capacity is 6800-8000BPH. FG4 linear blowing machine is developed completely independently, has our own intellectual property rights, and has obtained more than 10 national patents.